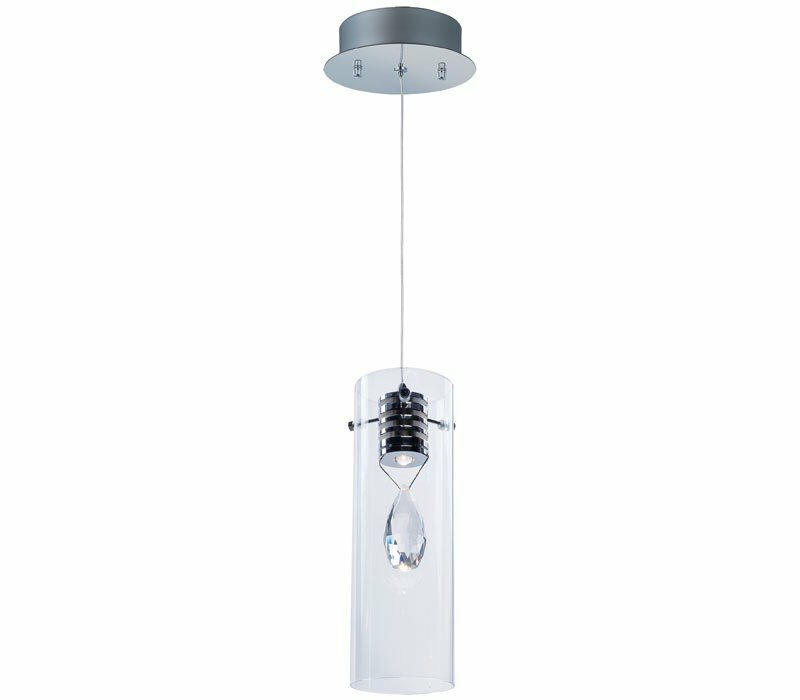 Elegant beveled crystal, almond pentalogue suspended inside clear glass cylinders, are brought to life by high powered 3W COB LEDs. These LEDs are cleverly concealed inside heat sink castings that are finished in Polished Chrome. The ET2 E21111-18PC Solitaire collection Pendant Lighting in Polished Chrome uses LED light output and brings Modern style. This item is 11.75"H x 4.25"W x 4.25"L. The wattage is 3. The ET2 E21111-18PC requires 1 bulb (included). Additional Information: Shade-Clear.